The Level 3 Diploma in Exercise Referral is available to learners who have already achieved the Level 3 Certificate in Personal Training (or a suitable equivalent). Designed to introduce the area of exercise referral, the course will provide you with an excellent understanding of the exercise referral process as well as various disease states and their implications for exercise. You will learn to safely apply that knowledge in a practical exercise situation and the course will give you the necessary level of qualification and the confidence to enable you to work with these potentially more demanding and sensitive groups. The course is delivered predominately via online study with one face to face attendance day and one assessment day, to allow the greatest level of flexibility. This qualification is accredited by Active IQ and is recognised by both the Register of Exercise Professionals (REPs) and CIMSPA at Level 3. 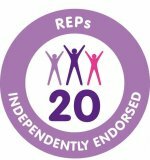 Evidence of a current suitable Level 3 qualification, as recognised by the Register of Exercise Professionals (REPs), is required for entry onto this course. Call 01732 440581 to book, or see ‘Contact Us’ tab.